Big Deal #1 Feb 2011 4-record package! February Record DEAL! Holy Moly! For a mere $16 you get SOFT HEALER’s hand-silkscreened 10″ record, DUNCAN MALASHOCK’s debut 7″, SANDS HOLLOW’s debut 7″, and SOFT ENCOUNTER’s debut 10″, also hand-silkscreened! 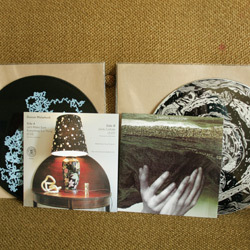 All four records are limited to only 300, so get ’em fast.